This description of Pranshu Singhal's work was prepared when Pranshu Singhal was elected to the Ashoka Fellowship in 2018. Pranshu believes that to transform a rampant, illegal and dangerous e-waste (discarded electronic goods) recycling ecosystem into one that is cohesive, adds value and is safe for all, there needs to be a significant transformation in the way e-waste is looked at and the incentives in place to shift behavior. Through his organisation, ‘Karo Sambhav’ (‘Make Possible’), Pranshu is enabling people and institutions to responsibly recycle this e-waste by rewarding positive behavior and challenging the norms and perceptions towards what is safe recycling. By bringing together industry associations, municipal corporations, NGOs, informal sector waste pickers, collectors and aggregators, citizens and responsible recyclers, Pranshu is connecting a value chain of stakeholders and building their capacities to fulfill their roles and responsibilities as responsible recyclers. By integrating existing informal practices into legitimate, systemic and transparent channels, Pranshu is shifting perceptions of stakeholders by showing that safe recycling of e-waste can be done, and benefits all, he is creating a much needed framework for influential nodal bodies like the government and multilateral organisations (such as the World Bank) to replicate this model and take it to other countries. India is the fourth largest producer of e-waste (defined as discarded electronic materials such as mobile phones, chargers, laptops, keyboards and so forth) in the world, with close to 2 million tonnes a year, equivalent to the weight of close to 200 Eiffel Towers. With a burgeoning middle class, fast accelerating industries that are dependent on electric goods, such as IT, a surge in the use of mobile phones and government mandates pushing for a ‘Digital India’, the compounded growth of e-waste is expected to be 20% per year for the next decade. The growth is exacerbated due to the illegal ‘dumping’ of e-waste by other countries who take advantage of the low cost of recycling in India. The United Nations Environment Program estimated that 50,000 tonnes of e-waste was discarded by other countries into India in 2017 alone, with the number set to increase without enforcement of legislation, monitoring and increased demand for electronic products. While access to electrical goods enhances the quality of life for a lot of people, there is also a massive threat to the environment and health of the informal sector workers who do the majority of recycling. According to the United Nations University’s, Global E-Waste Monitor, 95% of India’s e-waste is dealt by the informal sector, right from aggregating waste to dismantling and recycling. Electronic goods are usually sold by users to informal waste pickers, repair shops, aggregators and so forth who manually dismantle, separate and shred, remove soldering unsafely through heating, use acid to extract metal and burn waste to remove combustible plastic and isolate metals. These unsafe and harmful methods that are practiced widely induce a high and prolonged exposure to chemical and pollutants that leads to damage of nervous systems, respiratory issues as well as many more long term health consequences. As well as this, dangerous toxins and pollutants continue to have severe environmental impacts. At the core of the problem is a lack of awareness among stakeholders of the dangers of e-waste. Right from users (citizens), producers, manufacturers, informal recyclers and employees, there is a lack of understanding and a comfortable complacency of discarding the waste through the easiest option possible or continuing to use unsafe methods to recycle. This cycle continues as often the health and environmental impacts of this system are not seen immediately and there is no incentive or disincentive to recycle responsibly/irresponsibly. Despite landmark legislation being passed that mandates strong rules of responsible recycling, producer responsibility, import bans and so forth, there lacks human resources and infrastructure to properly enforce these rules, thus creating further complacency among stakeholders. For example, even though the Hazardous and Other Wastes (Management and Trans-Boundary) Rules 2016 states that there is a complete ban on importation of e-waste (except for refurbishment and re-exportation of second hand goods), the nodal body of excise and customs lacks the resources to differentiate between what is e-waste and second hand goods. Annexing the challenge further is the lack of recycling capacity through scientific and safe methods due to either a lack of know how or a resource constraint in terms of access to technology and infrastructure. In fact, a recent study by the World Bank shows that e-waste generation is 4.56 times the full recycling capacity in the country at the moment, thus leading to even more improper dumping. Without strong incentive systems in place, mass awareness among stakeholders and a cohesive and inclusive value chain, the challenges posed by e-waste will pose significant issues over the long term. Drawing off the back of strong legislative changes in favor of responsible recycling of e-waste, Pranshu sees the need for a cohesive and transparent movement to enable stakeholders to be able to fulfill their responsibilities and champion safe recycling. Leading the advocacy efforts in the country to push for EPR (extended producer responsibility) rules for producers of electronic waste, Pranshu has been successful is setting the legislative landscape up for the creation of a safe, economically viable and efficient e-waste recycling ecosystem to be created. Through his organisation, Karo Sambhav, Pranshu has for the first time connected the fragmented and dangerous informal recycling sector with a common objective and vision. 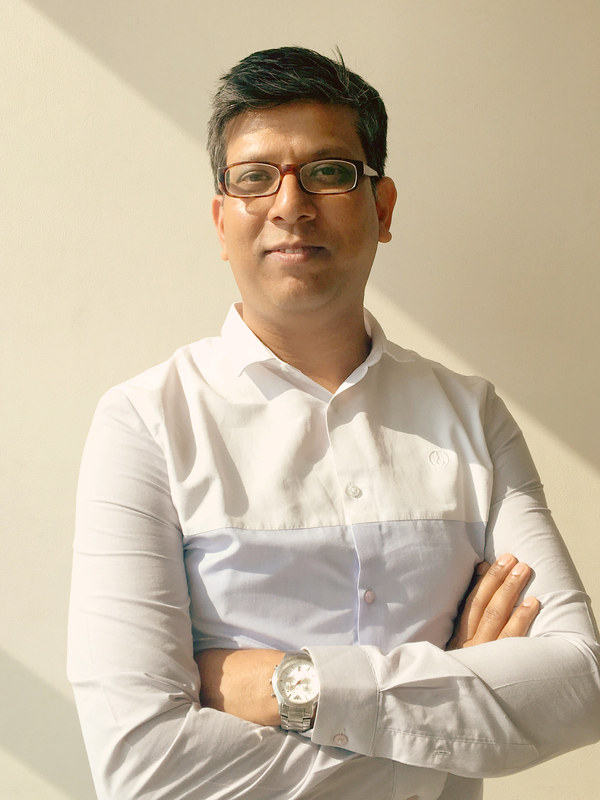 His multi-tier awareness-build-connect model, is enabling a whole new ecosystem to emerge that is lawful, transparent, safe and beneficial for all involved and in the process Pranshu is able to create a framework for the government to follow and replicate throughout the country. As a first step, Pranshu believes it is critical to invest in mass awareness building of key stakeholders, such as schools and bulk consumers. He sees these two stakeholders in particular as key because young people are fast becoming the biggest users of electronic products while bulk consumers currently stand as the biggest generators of e-waste. Pranshu works with these communities by partnering with a network of over 100 NGO’s and other outreach partners who already have some trust built and stake in these communities. With each stakeholder, Pranshu has a curated journey that aims at sensitizing and driving positive behavior change and action among young people. For example, through his school curriculum program that focuses on building critical thinking skills, empathy and teamwork, Pranshu uses e-waste as a tool or example to take students through a reflection and community action journey. These students play a huge role in influencing their immediate households and communities to drop off e-waste at Karo Sambhav built infrastructure (drop off boxes) available all over the country, which gets taken to registered recyclers. Pranshu is able to partner with a large number of NGO’s who have access to these schools because they are often looking to have capacity building and innovative pedagogy to deliver various life skills as well as other interventions which can be practiced/built through a focus on e-waste. Similarly, with bulk consumers, Pranshu works with employees to take them through awareness programs so they can become champions of responsible actions on behalf of the companies they work for. Beyond raising awareness, Pranshu sees the need to build a cohesive value chain that incentivizes all stakeholders. Firstly, Pranshu works with the informal sector (repair shops, aggregators, waste pickers and so forth) whom deal with the majority of e-waste generated in India today. By partnering with local NGO’s and finding members of the target community who have the skills and enthusiasm to take leadership, Pranshu develops a system of intervention to first build trust and convince these informal channels. After community building activities, Pranshu offers a number of incentives including opening up business opportunities, upskilling employees, building reputation, support getting access to identity cards (state identification) while also meeting legal requirements which state that anyone that is dealing with e-waste, from producers to recyclers, need to register with government bodies to operate. The role of these informal workers shifts from facilitating this whole illegal and dangerous cycle of collection and dismantling to now either selling their waste to Karo Sambhav who recycle via formal and registered recyclers on behalf of producers or formalizing their own practices and using legal, scientific methods to recycle themselves. Once the informal sector stakeholders start to be formalized, they start growing with pride given their high environmental, social and ethical standards, all whilst reaping monetary benefits of the formal recycling system. They also start to influence other informal traders in their community through their role model behavior. At the same time, Pranshu is working with producers to transcend their compliance boundaries and become leaders in the responsible recycling movement. The dominant mindset and activity of producer companies in India without checks and balances is to ignore e-waste as a responsibility after the sale of goods. Pranshu works with some of the largest producers in India including Apple, Dell and Lenovo to 1) Meet their recycling targets (20% of total sales with a 10% year on year increase over the next 5 years) by facilitating the entire recycling process in a cost effective manner and across the country, 2) Co-create activities that meet obligations under the law of Extended Producer Responsibility Programs (EPR), which states that producers also must play a role in community awareness towards responsible recycling and 3) Provide real time monitoring and data analytics for all waste recycling that can be presented to the government for end of year auditing requirements. Karo Sambhav stringently assesses all its partner recyclers and helps them register formally with the government. Finally, Pranshu is also opening the door for the larger society to recycle e-waste responsibly by working with offices, government institutions, schools, universities, hospitals and many other stakeholders. Through a mobile phone application, users can freely organize a pick up by one of the formalized waste pickers or aggregators, which then gets picked up and delivered by Karo Sambhav to formal recyclers. Pranshu’s innovative technology platform connects all the stakeholders in the value chain together and provides transparency of collection and stage of progress of recycling in real time to stakeholders. This gives a sense of satisfaction and comfort in seeing the waste being taken through the whole cycle from collection to responsible recycling. Pranshu is also working with these stakeholders on awareness programmes and opening up doors for further engagement. Throughout the entire collection and recycling process, Pranshu is ensuring there is significant checks and balances that are backed up by stored evidence of each transaction, thus creating a complete and transparent data trail. For example, when e-waste gets shifted from drop boxes all across the country to Karo Sambhav warehouses or recycling plants, the exact weight, photographs of the truck being loaded, a photo of the driver and input of all other relevant information must be put into the mobile application. All transactions that occur must also have an accompanying invoice which Karo Sambhav collects and stores. Pranshu sees this as critical as it provides legitimacy to all stakeholders as well as fulfilling the role he is playing with the Indian Government as the assignee to create a robust framework for monitoring and collection across India. Pranshu is leveraging his position as a thought leader in this space and on the writing committee of the e-waste policy that has been introduced in 2016 to take his idea and institutionalize it with the government. Pranshu is also working with the International Finance Corporation (IFC – World Bank) to create an applied research platform that enables the creation of critical standards and best practices in e-waste recycling. Some of the extensive output that has come out of this partnership has been insights into technology standards for the recycling industry, codes of conduct to work with informal collectors, auditing check-lists for dismantlers and recyclers and so forth. IFC and Pranshu see this information as being a tool for others to take his idea and implement globally, where the e-waste challenge is also present. So far Pranshu has been able to leverage his own extensive networks and use his entrepreneurial zest to take his work to 68 cities, 29 States and Union territories where he’s created a network of 200 Bulk Consumers, 1100 Schools (partnered with in 2017), 1450 waste aggregators and 2200 waste pickers. In 2017, Karo Sambhav through its transparent system of recycling has been able to keep 300,000 kg of e-waste out of landfills and into formal recycling channels. Pranshu has already started to work with the plastics industry and he is looking to have this model be replicated in other similar industries such as that of tyres. He is working with industry leaders and advocates to push this economically viable and value driven model to these sectors. Pranshu has always had a passion for green living and from very on in his life recalls advocating for sustainable living. It is this passion that translated into his interest to study Environmental Management and Policy at Lund University in Sweden. Pranshu recalls his academic years in Sweden as being formidable in terms of expanding his knowledge and resources towards Environmental problems, including the impeding e-waste challenge the world would be facing. Pranshu went on to work for Nokia’s sustainability program across many different countries and continents, including Finland, Thailand and China until he finally settled to lead the program in India. At Nokia, Pranshu recorded incredible milestones, including the most successful and large scale e-waste recycling campaign from a producer or manufacturing company in India. Pranshu was instrumental in influencing the telecommunications industry and others on the importance of responsible e-waste management, through building country wide infrastructure and mass awareness campaigns to retrieve end of use life mobile phones. While at Nokia, Pranshu also launched a nationwide Fellowship, which provided youth the opportunity to use creative arts to build innovative social action projects that initiate engaging conversations with the public on issues such as sustainable consumption, energy, transport, water and e-waste. After Microsoft acquired Nokia, Pranshu went on to lead the Digial Learning Program in India where he devised innovative pedagogy, software and methods for teaching. Pranshu’s idea to start his E-Waste organisation was an accumulation of his accumulated experiences, knowledge and policy environment which changed in the favor of more responsible E-Waste recycling in 2016.